With more than a decade of dental experience, Amber joined our team in 2010. Since then, she has been dedicated to helping patients and coworkers alike to find new reasons to smile. She is a member of the American Association of Dental Office Managers, and she has trained with the Bell Leadership Institute and Mastery of Dentistry. Outside the office, Amber enjoys spending time with friends and family especially when they’re soaking up the sun. Michelle joined our office in 2013, and has more than ten years of experience in the field of dentistry. Prior to joining our team, Michelle worked in an Endodontist’s office and is familiar with ins and outs of dentistry practice management. She loves working with a fun, talented dentistry team. Michelle is a proud military wife, and loves spending time with her family. One of her children is already serving in the military and the other plans to as well. She’s happy they’ll both get to have unique experiences living in and experiencing new places and cultures with their families. Kecha joined Market Heights Family Dental in 2016 and plays a vital role on our team. With a bachelor’s degree in business management, Kecha is also certified as a dental assistant and has been in the dental field since 2012. She says she loves learning and growing in our friendly team environment. Kecha is originally from New Orleans, and when she’s not working, she loves reading and spending time with her three daughters. Lindsey came to Market Heights Family Dental in 2007, after completing her associate degree in Dental Hygiene at Temple College. She remains actively involved in continuing her education and has given back to the community through her volunteer work with Sealants Across Texas and the Texas Mission of Mercy, in addition to her time with local nursing homes and elementary schools. 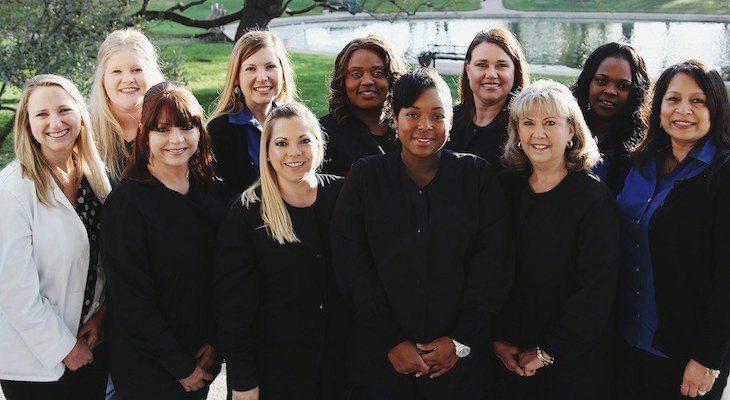 Sharon joined our team with more than 23 years of experience in her field and her Dental Hygiene degree from UTHSC of San Antonio, as well as her certifications for dental sealants and nitrous oxide. She says that her favorite thing about her job is the opportunity to work with a great team and the daily chance to help our patients achieve optimal oral health. Sharon has a lovely daughter, a wonderful son-in-law, and two precious grandchildren. Her interests outside of work include music and traveling. Kim joined our practice in 2015 and has been working in the dental field for three years and counting. She received her Associate’s in Dental Hygiene from Temple College and her Bachelor’s in Dental Hygiene from The University of Texas San Antonio Health Science Center. She enjoys educating patients about oral health and getting to know them through her work. Originally from Panama, Kim comes from a very tight-knit family and has a son named Amaree, a daughter named Amierah, and two fur babies named Bella and Bentley. In her free time, she loves gardening and spending time with her kids. Lauren joined the team in August of 2016, after graduating from Western Kentucky University with her Bachelor’s degree in Dental Hygiene in May of 2016. Prior to her time at Western Kentucky University, she attended Bowling Green High School in Bowling Green KY. Lauren has been in the dental industry since 2014. When not in the office she enjoys going to the beach, spending time with her family and dog. Jenny has worked in the dental field since 2006, and she joined our team in 2012. She is dedicated to helping patients achieve their goals and is always willing to lend a helping hand. Jenny studied cosmetology and is certified in CPR. A native of Paola, KS, Jenny loves spending time with her fun and loving family and friends, reading, cooking, riding motorcycles, and cheering on her University of Kansas basketball team. Megan began her career in dentistry in July 2013, and she says she loves helping people feel better about their smiles through her role as dental assistant. Originally from Belton, TX, Megan attended the Austin Dental Assistant School and is specially certified in administering nitrous oxide. When she’s not at work, Megan loves tennis, crafts, and spending time outside. Anita has worked in the dental field since 1998, and joined our team in August of 2015. She loves having the opportunity to help patients improve their confidence, and fall in love with their smiles. Anita is happy to have such a wonderful group of coworkers, and enjoys coming to the office every day. She earned her registered dental assistant license from Western Career College in San Leandro, and is CPR certified. Outside the office, Anita is the proud mother of three sons and grandmother to seven grandkids. She is an animal lover, and enjoys painting, watching movies, and reading novels.